The 3rd EUPLAN conference was held in Bad Homburg vor der Höhe (Germany), SEPTEMBER 21 - 23, 2016 . Bad Homburg vor der Höhe is the district town of the Hochtaunuskreis, Hesse, Germany, on the southern slope of the Taunus, bordering among others Frankfurt am Main and Oberursel. 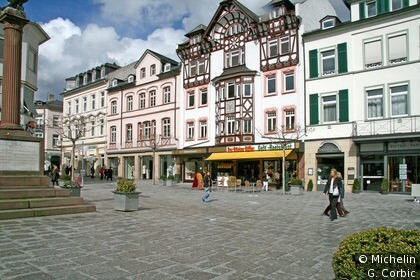 Bad Homburg is part of the Frankfurt Rhein-Main urban area.